The Belarde Company was founded on the principle of providing world-class “architectural concrete solutions” to architects, landscape architects, interior designers, developers, and owners. Gone are the days of dull, drab, gray concrete surfaces. 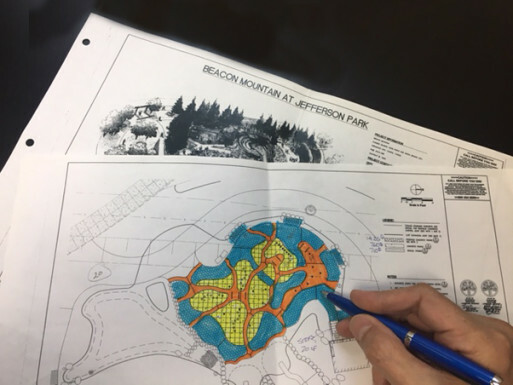 Innovations now provide designers with limitless possibilities in combining different colors, materials, and new processes to give your client an esthetically unique project. As an award winning decorative concrete contractor, our knowledge provides our clients with the assurance that their artistic vision becomes a reality. Our extensive portfolio highlights innovative, creative, and practical approaches to a wide range of projects. We encourage you to consult with our team at the beginning of your design process. Our experience and commitment to innovation gives Belarde Company the foundation to present emerging techniques and materials to create fresh new looks to architectural design concepts. Promoting and practicing sustainability is a core cultural value of the Belarde Company. We are committed because it’s the right thing to do for our community and our planet. While it is critically important to meet the needs of our current generation, we must not adversely impact the needs of future generations. As a leading subcontractor in the Pacific Northwest we apply the principles of LEED both in the design process and on how we coordinate with other contractors on the job site. We are happy to share a wide variety of samples, color chips, job references, budgetary cost estimates, technical test reports and promotional literature to assist you during the design. Moreover, we will furnish technical expertise regarding mix design, base material selection, expansion and control joint placement, maintenance procedures, etc., to help insure that your client’s project is designed and installed in the most cost effective, quality oriented manner possible. The Belarde Company is the highest regarded award-winning architectural concrete contractor in the Pacific Northwest, headquartered in the Seattle area and servicing Alaska, Washington, Oregon and Idaho. We encourage you to review our Architectural, Civil/Site, and Structural “Project Galleries” to see examples of our work. If you would like to learn more about the innovative possibilities of your future project, please contact us.